We can repair, replace or open all Upvc door locks 24hrs a day. Upvc doors and windows have been around for a number of years and a lot of the locks in these units are now coming to the end of there lives. Don’t be told that you need to replace the doors or windows. We can either repair these locks or replace them easily at a fraction of a cost of a new door or window. There are numerous ways in which these locks can breakdown but mainly the working parts just give up through wear and tear. In the event of your UPVC door lock failing, finding a replacement can be hard if you don’t know where to look. You won’t find them at your local DIY store, and more often than not the company who fitted your door will have stopped using that particular lock or the company has gone out of business. Most people then simply buy a new door which is expensive and often unnecessary. Thomas Locksmiths supply, repair, and install all UPVC door and window locks, restoring your door or window to being as good as the day it was first fitted. With one of the largest selections of door and window lock stock in the South of England we can usually get these locks replaced straight away or next day. We also keep a huge range of handles in many different finishes. 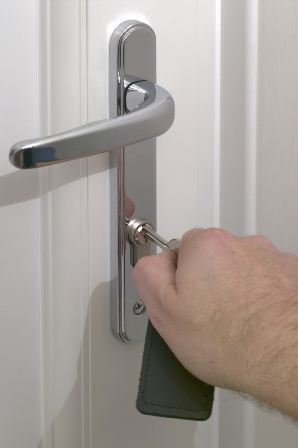 So if your handles are looking old and worn then a replacement set can be easily obtained. Call Thomas Locksmiths on 0800 0561226 for free friendly advice on how we can assist you with any Upvc lock problem.